Today, at 4pm ET I'm hosting a free webinar titled Making Great Handouts With Storyboard That Templates. This webinar will feature many of the new story cube and worksheet design tools that were added to Storyboard That for the new school year. In Making Great Handouts With Storyboard That Templates you will learn how you can use the features of Storyboard That to create great-looking worksheets, story cubes, and instructional templates. Storyboard That's design tools are perfect for folks like me who aren't particularly artistically-inclined. That's because there are more than 40,000 pieces of pre-made artwork in Storyboard That that you can drag-and-drop into your designs. 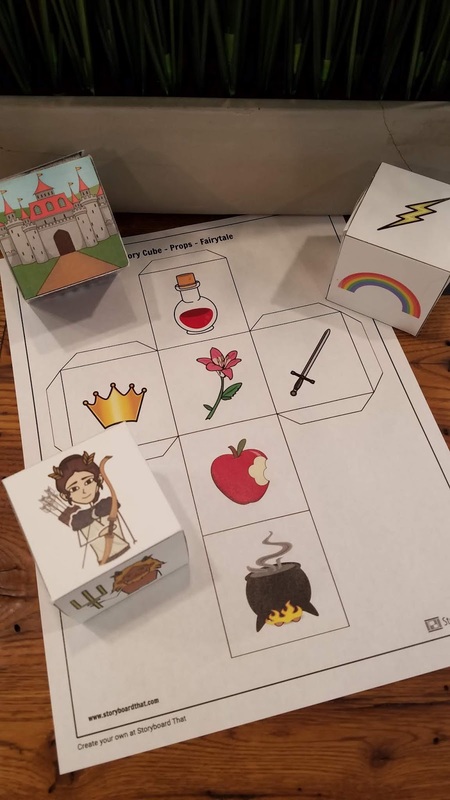 Storyboard That is encouraging enterprising teachers to use the new worksheet and story cube design tools to make things that they can list on marketplaces like Teachers Pay Teachers. To that end, there isn't any Storyboard That watermarking applied to the materials that you make through their service. Finally, the end of this webinar will include some tips on listing your materials on TPT and Gumroad. Click here to register for Making Great Handouts With Storyboard That Templates. This webinar will be recorded for those who cannot attend the live broadcast. Everyone who is registered will be sent a copy of the recording, there is no need to email me to request a copy of the recording.